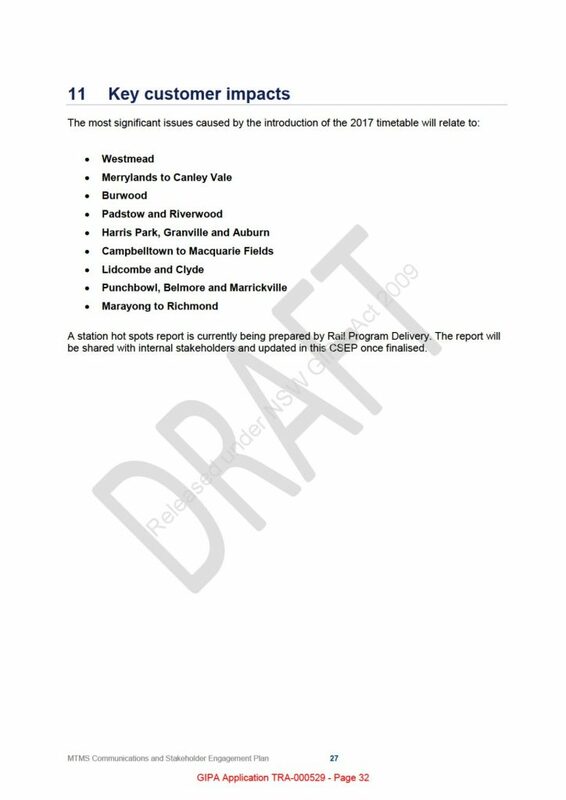 EXCLUSIVE: Documents obtained by Restore Inner West Line from Transport for NSW show the Cumberland Council area is the worst affected by cuts to Sydney Trains services. Lidcombe, Auburn, Clyde, Granville, Westmead, Merrylands, Guilford and Yennora are significantly worse off from the 2017 train timetable – the most stations affected in any council area. 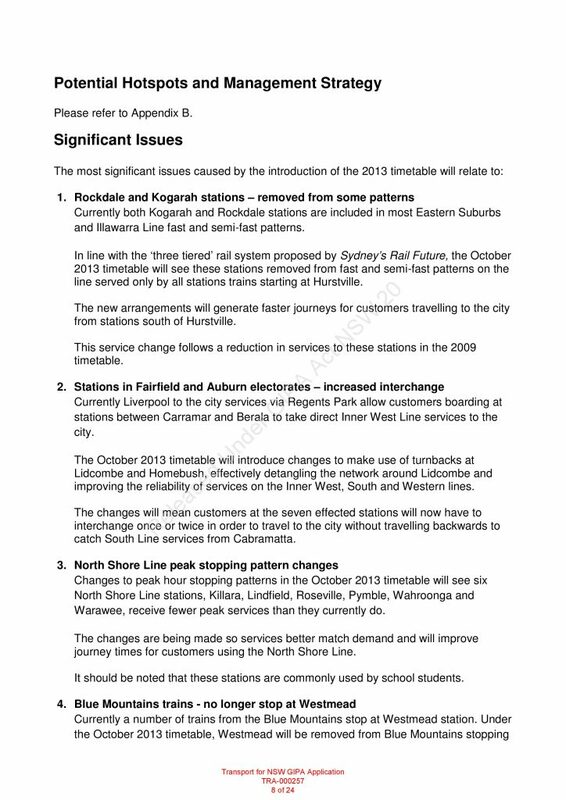 Many stations in Cumberland also suffered from the 2013 timetable cuts removing Inner West Line trains from Berala and Regents Park which forced additional interchanges at Lidcombe and Strathfield. 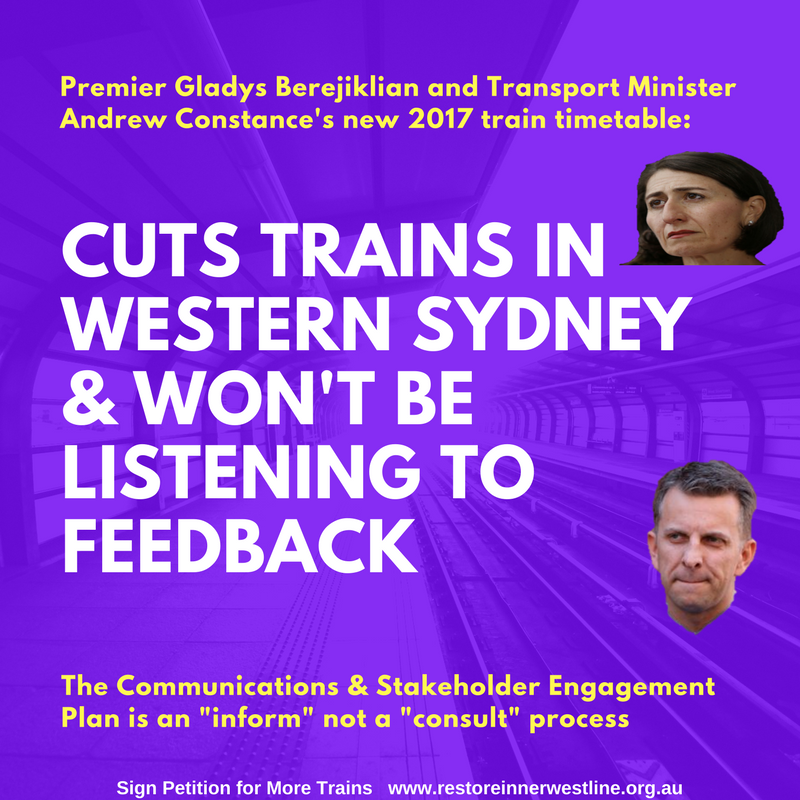 What has Andrew Constance and Gladys Berejiklian got against Cumberland? 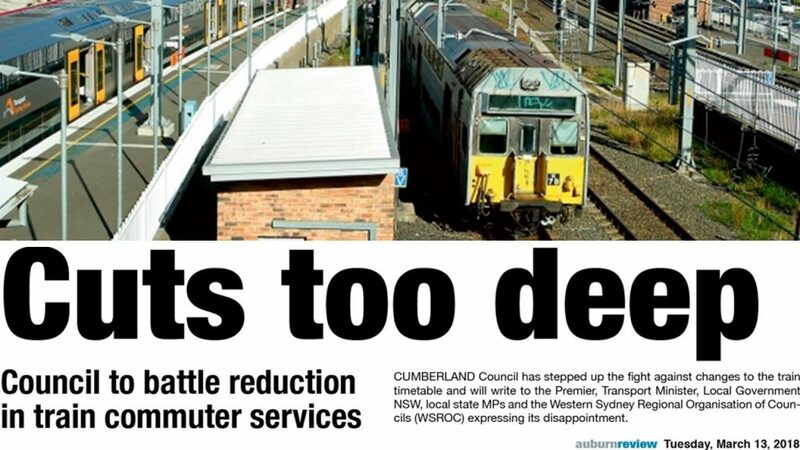 The State Government has already forcefully merged Holroyd with most of Auburn and part of Parramatta Councils, now it has goes even further to “unify” the Cumberland LGA by neglecting public transport at nearly every station in the area. This map shows the stations identified by Transport for NSW as being most significantly affected by changes to the Sydney Trains timetable in 2017 and 2013. Zoom In and click on (top left of map) to filter between the 2017 and 2013 cuts to trains. Lidcombe is the worst hit station since across both timetable changes with cuts to Inner West Line and Bankstown Line in 2013 and now Western Line trains in 2017. 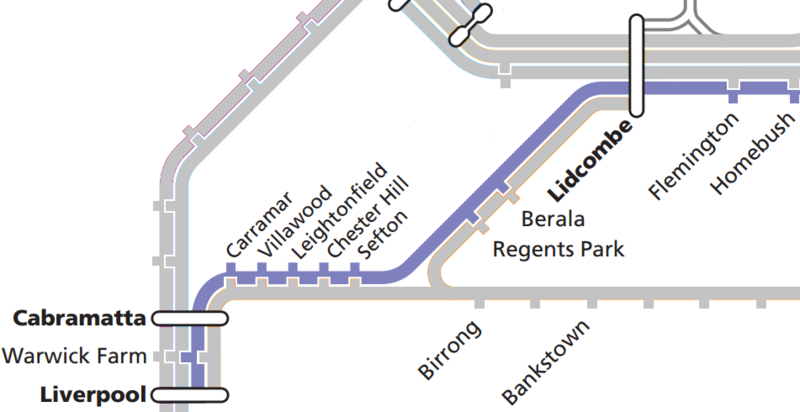 Lines significantly impacted by the 2017 timetable include the T1 Western Line (Lidcombe to Harris Park and north of Blacktown to Richmond), T2 Leppington Line (Merrylands to Canley Vale) and T8 South Line (south of Glenfield to Campbelltown). Like us on Facebook for updates! 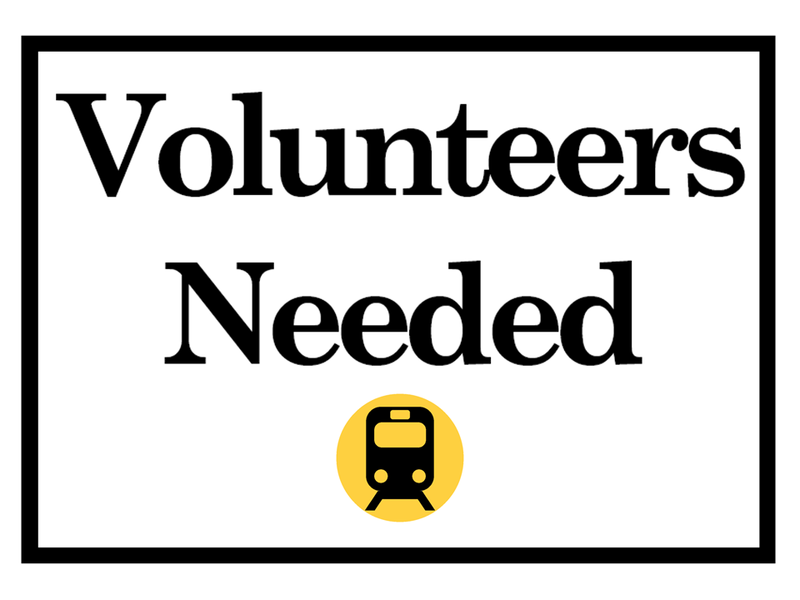 Please support our community campaign for better public transport by getting involved as a volunteer! 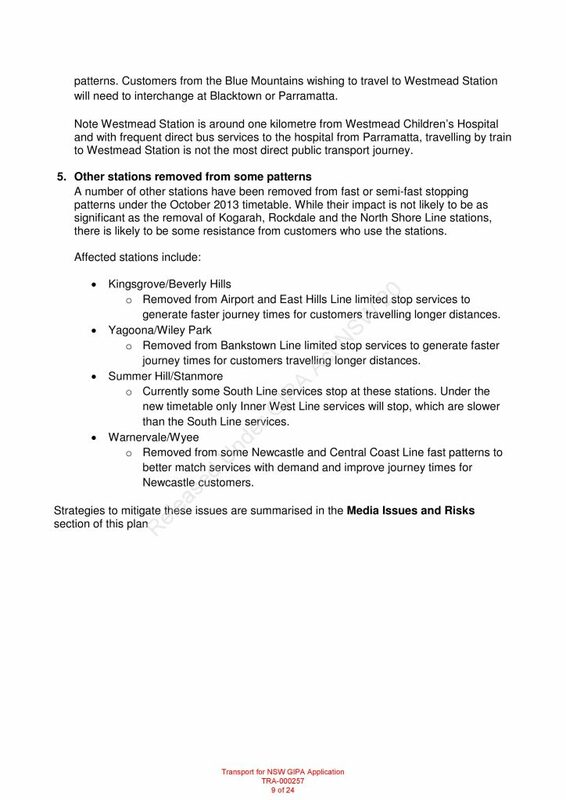 Transport for NSW’s Communications and Stakeholder Engagement Plans list the areas where changes to the Sydney Trains timetable will hit hardest. 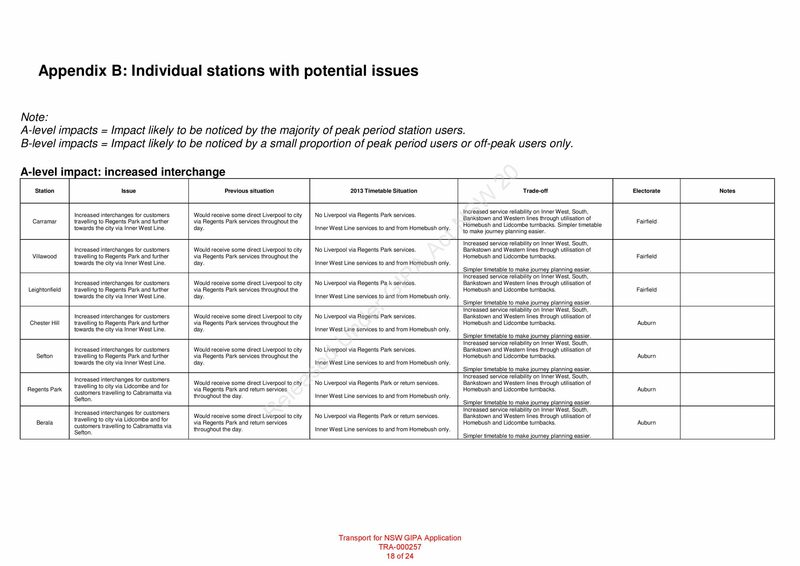 Extract from the “2013 Customer Timetable – Stakeholder Engagement Plan” obtained by Roydon Ng for “Restore Inner West Line” under Government Information (Public Access) Act. Click to enlarge.